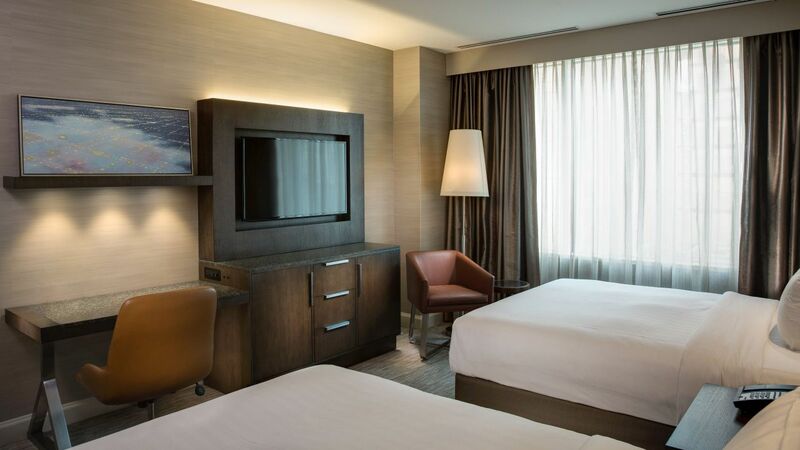 Each of the 419 guestrooms at Hyatt Centric Chicago Magnificent Mile is spacious, sophisticated, and stylishly appointed. 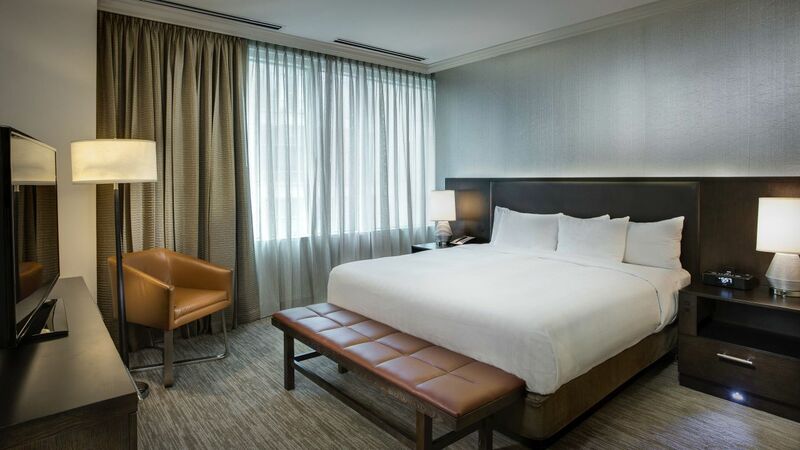 These welcoming, contemporary spaces with a Michigan Avenue address feature ultra comfortable Hyatt Grand Beds™, luxurious linens, large flat-screen TVs, and high-end amenities. 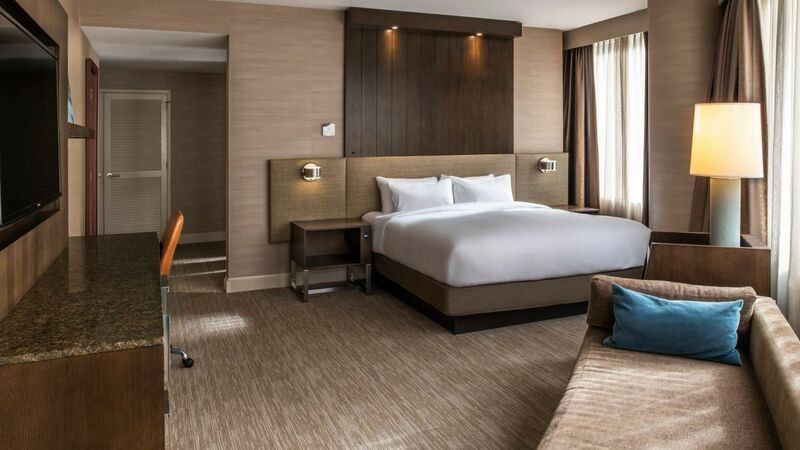 Elevate your stay with a suite; choose from the Corner King Room, with a pull-out sofa and spa-like bathroom, or a 735-square-foot Executive King Suite with separate sitting and work areas. 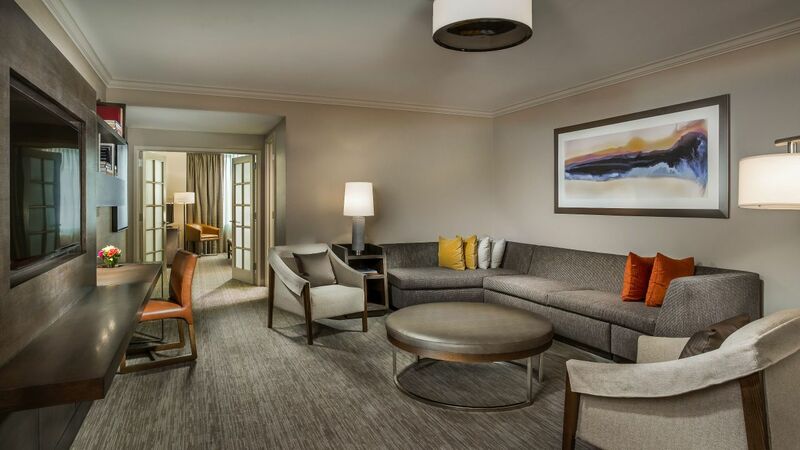 Treat yourself to a luxurious experience with a stay in this suite, offering 735 square feet; separate work and living areas; an expansive bathroom; and modern décor. This is a standard suite. See World of Hyatt program terms for upgrade eligibility. 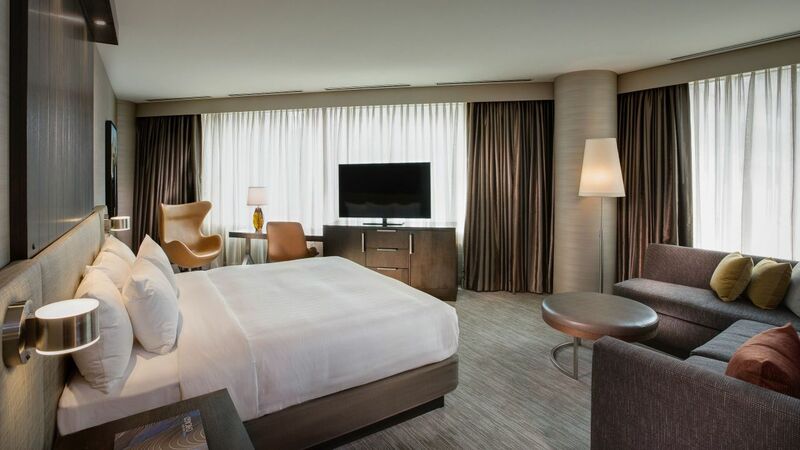 This oversized 520-square-foot guestroom features one king bed, an additional sleeper sofa, a generously sized bathroom, a work desk, and upscale amenities. 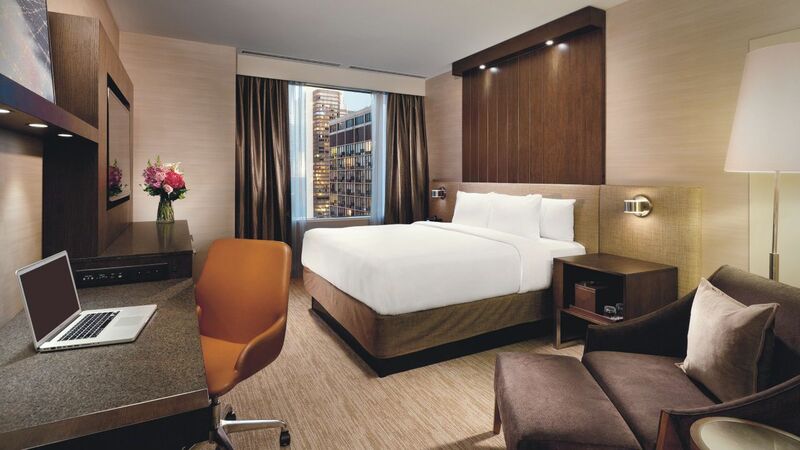 Stay above the city in our 350-square-foot king-bedded guest room, with oversized bathrooms, a work desk and high-floor location. Take in breathtaking views of the Windy City from this king-bedded guestroom, offering an oversized bathroom and work area amid 500 square feet of space. Enjoy supreme comfort in a king-bedded, 350-square-foot guestroom, with oversized bathrooms, a work desk, and stylish décor. This 350-square-foot guestroom offers one king bed, specialized amenities, and fully accessible features. This stunning 350-square-foot guest room offers two queen beds, a spacious bathroom and high-floor location. These stunning rooms offer 350 square feet of space to relax in, outfitted with two queen beds, a spacious bathroom, a work desk, and modern décor . Relax in this stylish 350-square-foot guestroom, specially appointed so you can unwind in comfort. Enjoy two queen beds and fully accessible features. This well-appointed contemporary guestroom features 350 square feet of space, two queen beds, a work desk, and fully accessible features.